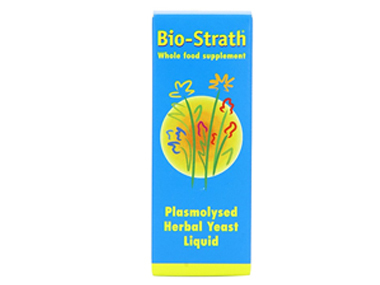 Buy Bio-Strath Herbal Yeast Liquid - 250ml in the UK from our online shop or directly from our independent Scottish store. Free from artificially produced flavourings and sweeteners. Because these remain in their natural state, they are very accessible for uptake by the body and also promote the absorption of other vital substances, such as those taken in the diet. We sell real Bio-Strath and other Other Herbal Remedies directly from our shop in Scotland and online throughout the UK. View more products from Bio-Strath. Where can you buy real Bio-Strath 250ml safely online? If you are wondering where you can buy Bio-Strath Herbal Yeast Liquid - 250ml safely online in the UK, then shop with us. Bio-Strath 250ml - Bio-Strath Herbal Yeast Liquid - 250ml in Other Herbal Remedies and Herbal Remedies, Tinctures & Supplements.